Sponsor a section – Battery Love! Rain can put a damper on a lot of things, but give us an open parking lot and get ready to watch this gang get to work without a second thought. 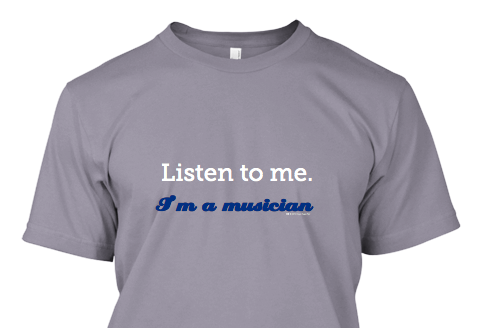 Consider sponsoring your favorite section with a shirt supporting music education for the young. Snares, tenors, basses…how about the rockin Hornline?! Show some love and place a group order for your favorite section! After you’ve ordered a scholarship shirt, come see the Phantom Regiment perform tonight for Music in the Park. For more information, click here.